We are starting the term with the story of the Three Little Pigs. 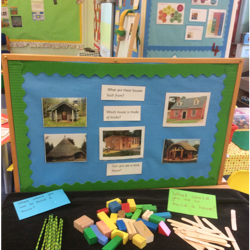 We have been making houses and building. 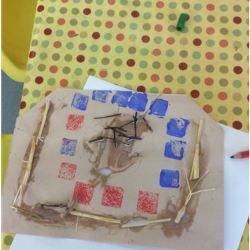 We painted boxes to make our own train. Thinking about how mechanical toys work. Our play shed, ready for the builders! We enjoyed making up some dances to celebrate Divali. 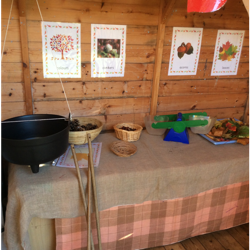 Our play shed is set up with Autumn resources ready to play. 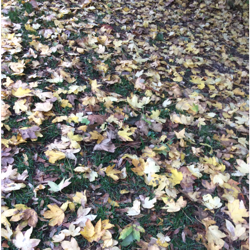 We've collected leaves in the woods and painted some of our own to decorate it. 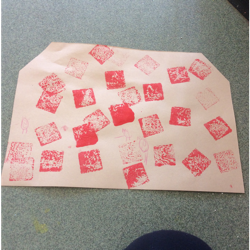 We are making patterns with shapes this week. 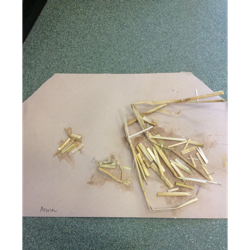 We will also use shapes to make rocket pictures. We've been taking photos in the woods! his is a display of photos of us all wearing our favourite clothes. 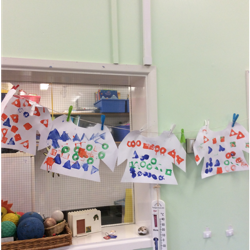 We used shapes to design and print a T-shirt for Titch. 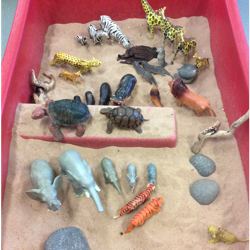 We'll be exploring size and growing this week. We'll make a reach wall and measure ourselves on the wall chart. 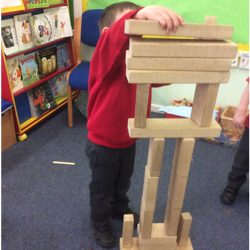 There will be lots of play opportunities for exploring size and using size language. 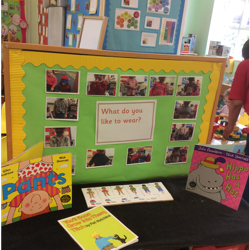 We will read "Titch" and "You'll Soon Grow Into Them Titch!" 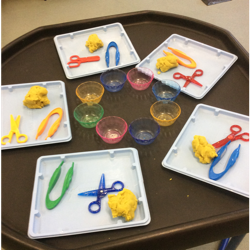 Ready to practise our fine motor skills this week! 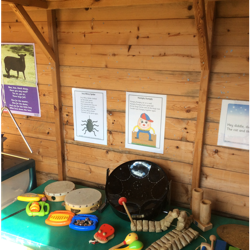 We're having fun with instruments and nursery rhymes.